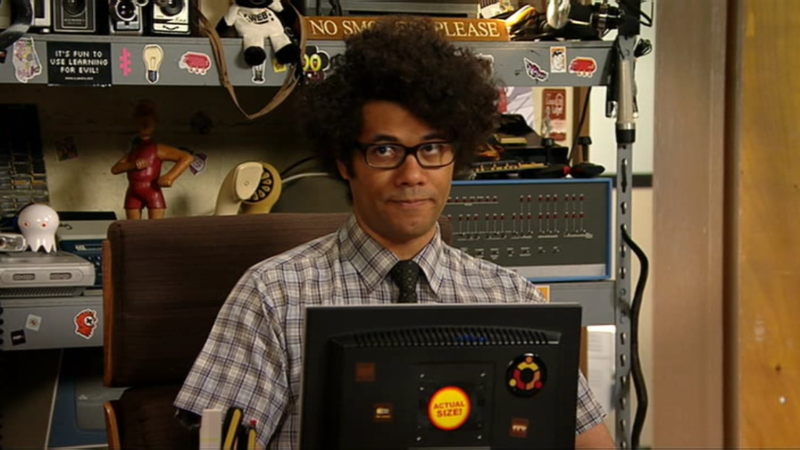 The new season of The IT Crowd has started, and there is a new game afoot. To spot all the interesting technology and artefacts in the set. It started for me when I saw a tweet to say someone had spotted a ubuntu logo on the back of Moss’s screen. So to get you started see how much you can spot in this shot. So for starters there is the Ubuntu logo. Then over Moss’s left shoulder is an Altair 8800 bottom left is a Commodore PET. Just out of this shot, above the Altair is an original Mackintosh. I understand that Graham Linehan and Sean Solle have been working hard to add in lots of references for the geek audiences to spot. What else have you spotted? Well I upgraded to Ubuntu karmic at the weekend, and mostly it went well. I looked at the Ubuntu Netbook Remix by downloading it and trying it on my Samsung NC10. I thought is quite nice but I think I prefer to use the desktop version and do my own interface tweaks to fit the screen size. Well this all worked fine until I went into work on Monday. There I can only connect to the office wireless network. This is wpa encrypted and hidden. This is where I hit my first problem. There has been a change in wicd on hidden networks. The display name of hidden networks now displays as “<hidden>”. Which is fine, but I couldn’t get it to authenticate. I suspected the masking of the essid because this essid and the password are used to calculate the key used in wpa. The password was displayed correctly but I have added a few stars, but the essid is not. Then I found this. Well this isn’t really Ubuntu’s fault as the problem is a kernel regression. I am sure it is to do with the way that these dongles start up as CD drives in order to auto run their installation programs on windows. But it doesn’t help the cause, especially when I am trying to convince mobile networks to support Linux.